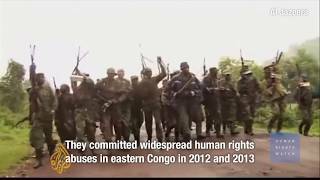 (Brussels, December 4, 2017) – Senior security force officers in the Democratic Republic of Congo mobilized over 200 former M23 rebel fighters from neighboring countries to quash protests against President Joseph Kabila in December 2016, Human Rights Watch said in a report released today. Kabila has since strengthened his hold on power and delayed elections, raising concerns that planned protests will be met with further violence and repression.The report, "'Special Mission': Recruitment of M23 Rebels to Suppress Protests in the Democratic Republic of Congo," documents that Congolese security forces along with recruited M23 fighters from Uganda and Rwanda killed at least 62 people and arrested hundreds more during country-wide protests between December 19 and 22, when Kabila refused to step down at the end of his constitutionally mandated two-term limit. 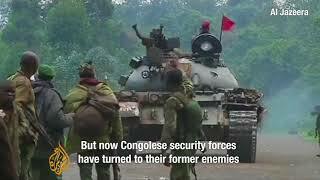 M23 fighters patrolled the streets of Congo's main cities, firing on or arresting protesters or anyone else deemed to be a threat to the president.